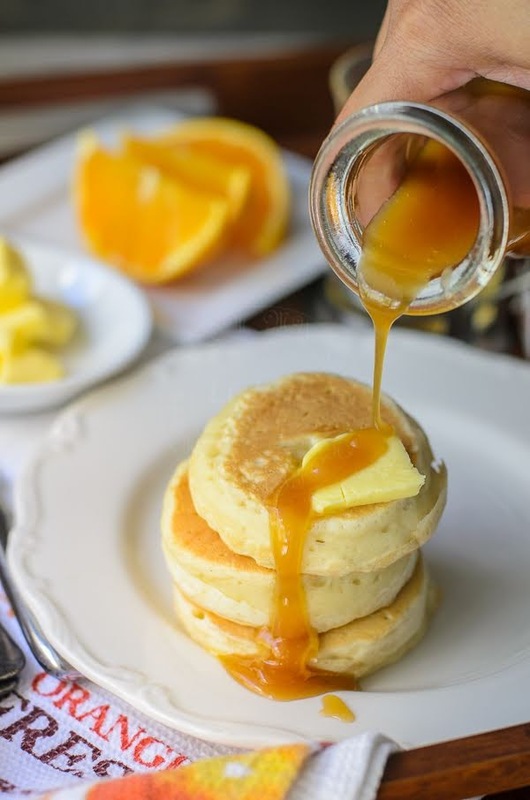 Delicious Crumpets with Caramel Butterscotch Syrup. An excellent indulgence for weekend breakfast. .
Crumpets has become my favourite breakfast of choice, sadly... I don't have it as often as I would like to! First, a packet of crumpets doesn't come with a lower price tag. Making my own crumpets were not as difficult as I initially thought. It was just as easy as making pancakes, the only real hard work would be... when the batter stuck to the egg ring... with much jiggling and shaking.. it refused to budge :(. 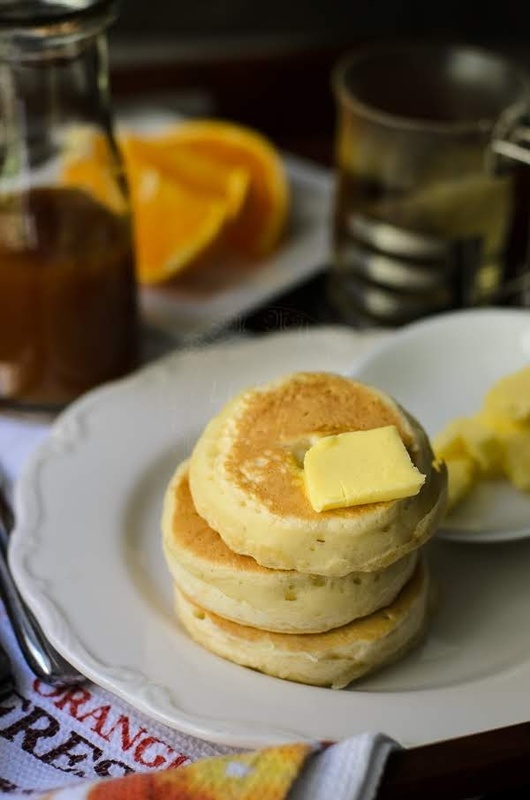 Delicious Crumpets with Caramel Butterscotch Syrup. An excellent indulgence for weekend breakfast. .
Sift flour, baking powder and alt into a mixing bowl. Sprinkle yeast in a jug of lukewarm water. Set aside for 5 minutes until bubbles form. Add yeast mixture to dry mix. Heat up frying pan and place lightly greased egg rings in the pan. Fill up to 3/4 of the egg ring height. Check for doneness when surface is filled with holes. Shake off egg rings and cook the other side for another 2 minutes. Heat up a small saucepan, add sugar and water. Give it a gentle swirl. let the water-sugar mixture simmer on low heat until it changes to dark blonde (DO NOT STIR!!!!). Add butter and butterscotch syrup. Happy Holidays to your and your family, Lisa!